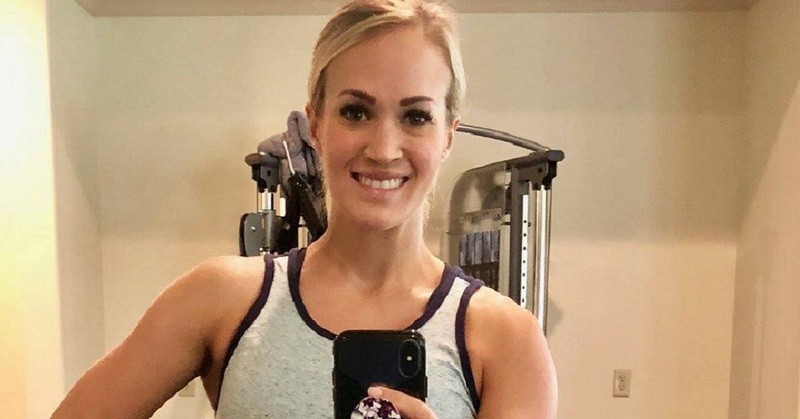 Here is photo proof that Carrie Underwood looks beautiful and radiant post recovery from her accidental fall. 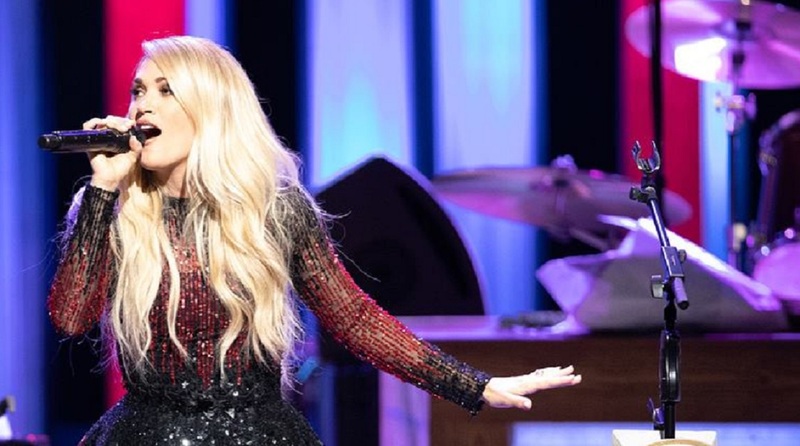 As fans know so well, the Oklahoman Country Music singer broke her wrist and suffered a facial injury last November after falling on the stairs outside of her Nashville home. 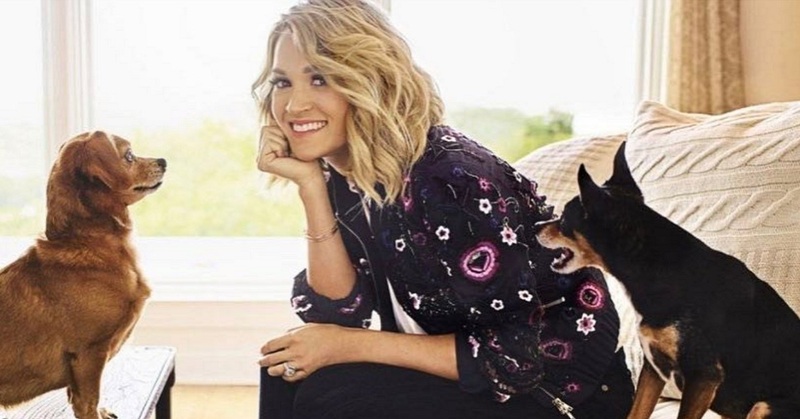 The accident occurred as Underwood was taking her two dogs, Ace and Penny (pictured below), outside her Nashville home for a bathroom break. Carrie missed a step and ended up awkwardly stopping her fall, causing a broken right wrist and a cut close to her mouth which required 40 to 50 stitches. Needless to say, the recovery process was an emotional roller coaster. The artist, however, has learned some important lessons from the mishap and has also let her feelings inspire her songwriting. “Any time someone gets injured, it looks pretty bad in the beginning, and you’re like, ‘What is this going to wind up like?’ You just don’t know. It was also a perception thing, because I look at myself [now] and I see it quite a bit, but other people are like, ‘I wouldn’t have even noticed.’ Nobody else looks at you as much as you think they do. Nobody notices as much as you think they will, so that’s been nice to learn,” Carrie reflected. Based on the photos below, Carrie looks wonderful and hopefully will not be self conscious about her scar. Carrie’s beauty radiates from within and she is as beautiful as ever post recovery from her accident. Below are some photo highlights after her accident recovery. Carrie relaxing . . .
Carrie rocking the stage with Ludacris . 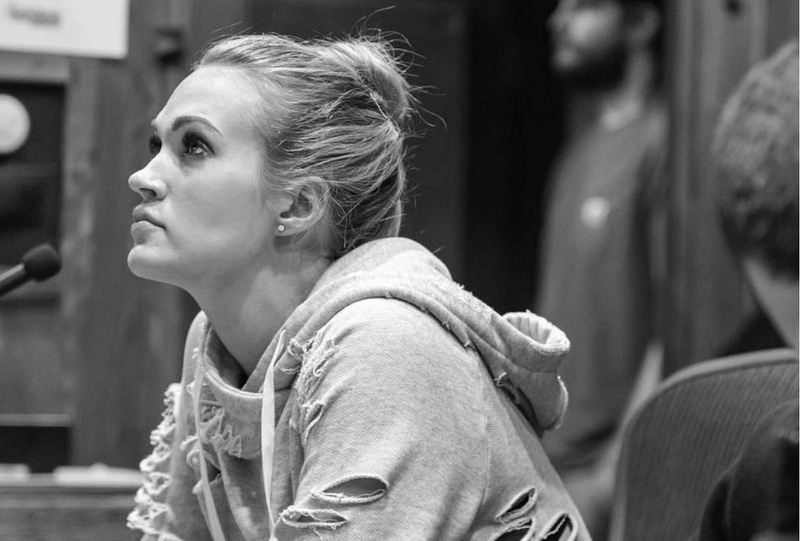 . .
We are happy to see Carrie back in full action and look forward to further updates as she launches her next tour and delivers baby #2 into this world! Remember to “share” this with other Carrie Underwood fans!